"Thank you for making my childhood fun,and staying up late watching monster movies." It is with sadness that I write this Condolences to you. I know what it is like to loose a loved one in Death. May you find comfort in knowing that thinking of the fond and happy times will keep him alive in your hearts and memory. May the God of all comfort, comfort you during this time of sadness. I also pray for you to have peace. (Isaiah 61:1, 2)"
"I'm glad you kept playing Godzilla while he transitioned from a monster who destroyed Tokyo to a friendly one who protected it!" "I would like to express my deepest condolences to the family for their loss of a talented man, who I remembered watching as little girl. I hope you find comfort and help in God during this time of mourning. He will always be remembered." 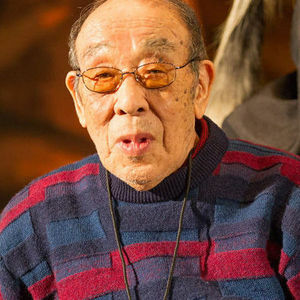 "my family is truly sorry to hear about haruo nakajimas' passing.We grew up watching godzilla movies and loved the monster he portrayed in the movies.He will be sadly missed by all who knew him and the great man he will always be...."
"My sincere condolences in your loss. May the God of all comfort, "who comforts us in all our trials", give you peace and strength to endure in the days ahead (2 Corin. 1:3, 4)."